Designed to be easy to build using commonly available materials, to keep costs to a minimum. Uses standard Optimist dinghy sail plan, so youth sailors can use much of the same equipment in summer and winter. It was created specifically as a youth trainer. It was designed to be easy to build using commonly available materials, to keep costs to a minimum. It uses a standard Optimist dinghy sail plan (hence the name), so youth sailors can use much of the same equipment in summer and winter, if they sail/race in both seasons. 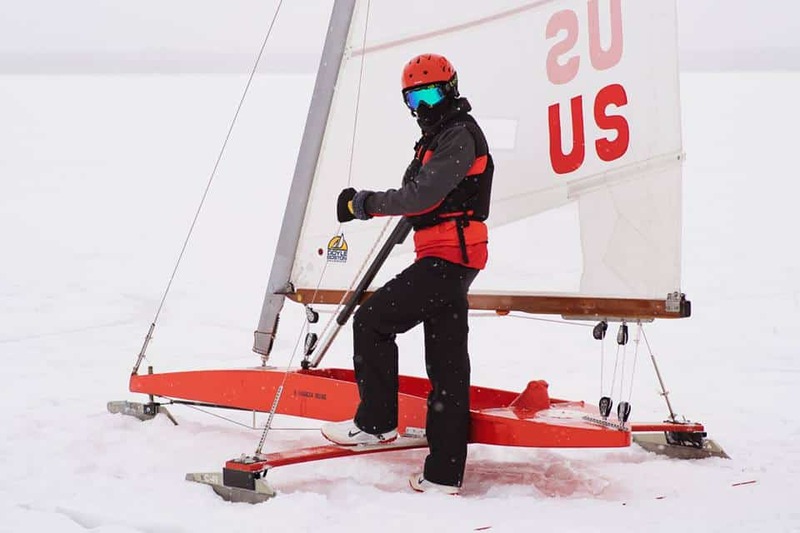 An Ice Optimist can be built for about $1,000; the majority of the cost being accounted for by the sail plan ($500 used) and the runners ($300 used). By contrast, a modern DN can easily exceed $7,000. 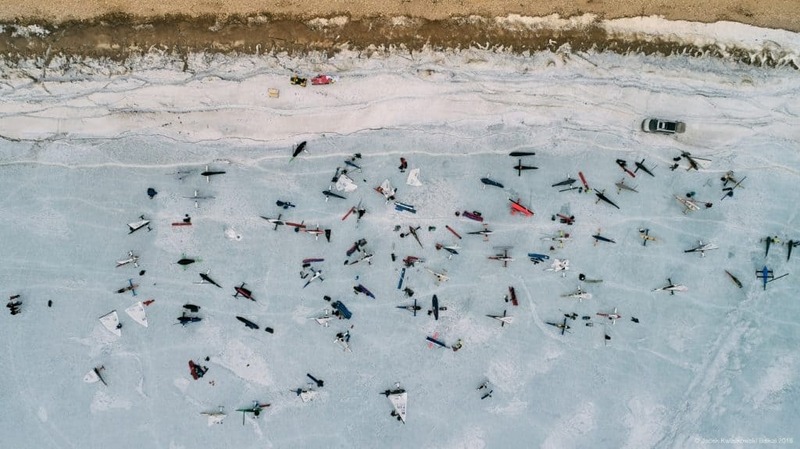 Building an Ice Optimist requires no special tools. Many are built with straight sideboards eliminating the need for bending/re-gluing or complex angle cuts. If you’d rather buy one, check the Buy & Sell page of this website. Commercial iceboat builders such as Composite Concepts and Williams Infusion offer complete packages or components. 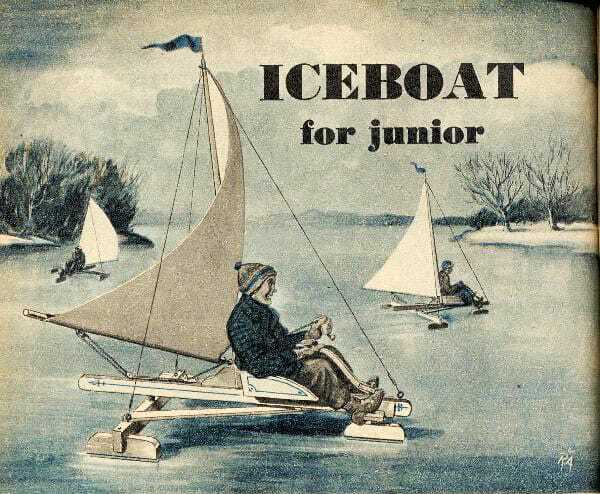 Ice Optimists can be sailed on smaller sheets of ice than other ice boats. Small lakes and even larger ponds can be quite suitable. They should always be sailed under tight supervision by adults. The 4LIYC will be hosting youth races over the lunch breaks during weekend club races and other youth training opportunities, such as dry land discussions/parties, are being planned. The IDNIYRA has announced that a new volunteer has stepped forward to head up the Ice Optimist program. 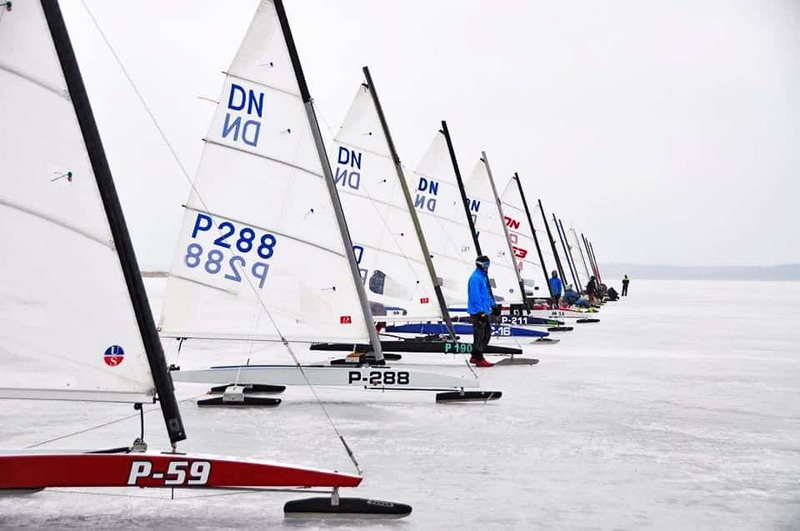 Ron Rosten, an active Renegade class sailor with the Four Lakes Ice Yacht Club in Madison, Wisconsin traveled with his son,Thor, to the Ice Optimist and DN Junior World Championships in Estonia in February 2015. As a result, Thor is hooked on the sport and Ron has stepped forward to take the reins of the Ice Optimist program. 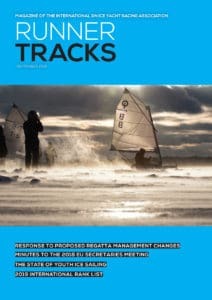 The first Ice Optimist program director, Daniel Hearn, did an incredible job starting the Ice Opti program and putting together great events which included safety, training, and social activities. 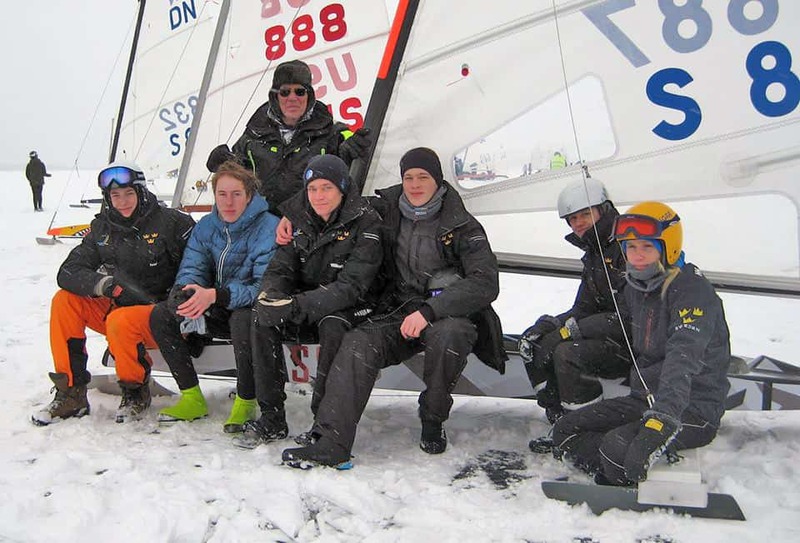 Kids made life long friends while having fun-what iceboating is supposed to be about. Ron grew up racing a DN in regional and national regattas. He has served as the Renegade class Secretary for several years and is experienced with all aspects of ice sailing and regatta organization.